Travis Stock helps others find what creates balance in their lives by first seeking acceptance of what is. He connects others with their truth in the moment so that they can make decisions that support their personal, professional, and relationship goals. 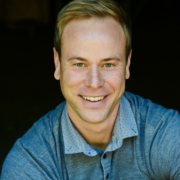 He utilizes the Equus experience to connect clients with the often forgotten wisdom of the body, allowing for more fully explored and developed choices in their lives. Travis has a passion for the balance between masculine and feminine energies in each of us, male or female, and believes in the importance of nurturing a relationship with both types of energy to create a sense of wholeness. Travis obtained a B.S. in Family Studies and Human Development from the University of Arizona as well as a Master of Social Work (MSW) from Arizona State University. He worked for several years in child welfare before taking his skills further through his training as a Life Coach with Dr. Martha Beck and as master facilitator with Koelle Simpson.